EPA Gives Coal-State Democrats A Chance To Sound Republican : It's All Politics Democrats in coal-producing states will likely use every chance they get to separate themselves from President Obama in voters' minds. The EPA's new power plant rules are just such an opportunity. After all, Obama is about as unpopular in those states as coal is popular. For Democrats running in coal-producing states like Kentucky and West Virginia, the Environmental Protection Agency's new limits on greenhouse gas emissions from coal-fired power plants provide a carboniferous chance to demonstrate independence from President Obama. Those Democrats will probably take advantage of every chance they get to separate themselves from the president in voters' minds, since their Republican opponents will be working overtime to portray them as reliable Obama votes if they're elected to Congress. Combine that with Obama's massive unpopularity in these states — in 2012 he got a little more than a third of the vote in Kentucky and West Virginia — and the need to stiff-arm Obama's EPA is self-explanatory. Democrat Natalie Tennant, the West Virginia secretary of state trying to succeed longtime Sen. Jay Rockefeller, didn't even wait for the EPA's announcement to oppose Obama. She used the coal issue to put daylight between herself and Obama in her announcement video released four days earlier. "When Washington Democrats take the wrong course, hurting our coal industry, I will do everything in my power to stop them, including standing up to President Obama," she says. Distancing herself from Obama meant creating little to no space on the issue between her and the Republican she hopes to beat, Rep. Shelley Moore Capito. Similarly, Kentucky's Democratic Secretary of State Alison Gunderson Grimes, sounded a lot like the Republican she wants to unseat, Sen. Mitch McConnell, the Senate minority leader. "Yet again President Obama's administration has taken direct aim at Kentucky jobs," she said in a statement. 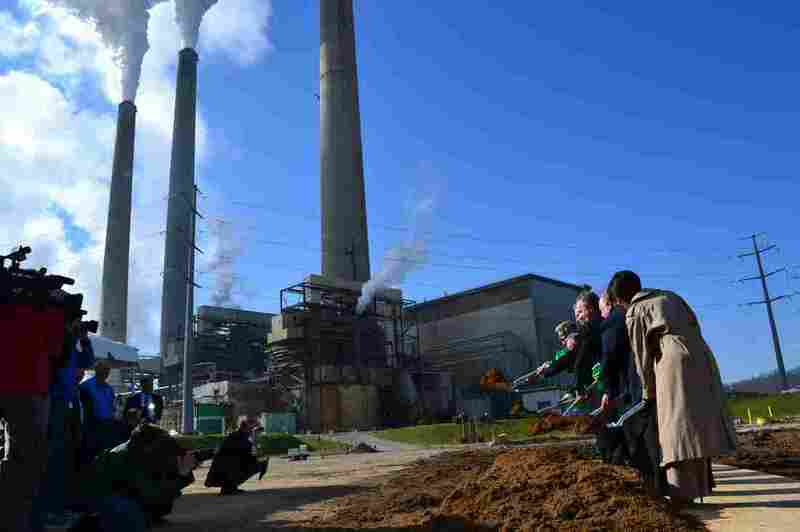 "The EPA's ruling practically prohibits construction of new coal-fired plants, which will threaten Kentucky jobs and raise energy prices that hurt Kentucky's middle-class families." It's natural to assume that carrying the same party identity as Obama and his top EPA official Gina McCarthy would necessarily hurt Tennant and Grimes. But these are states with strong Democratic traditions, though for different reasons. Numerous Democrats in both places have the experience of voting for fellow Democrats in local and state races and Republicans for president. So there are many people in both states who can appreciate Democrats who break from the president on any number of issues.